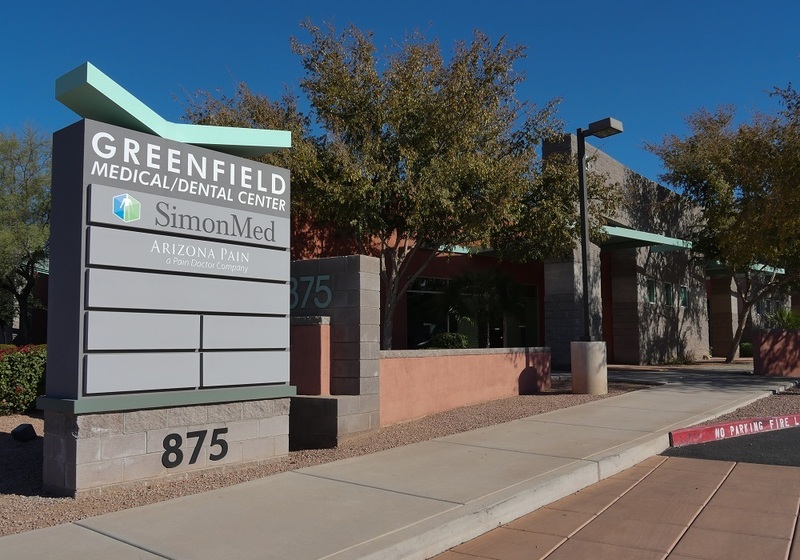 Born and raised in Queens, New York, Dr. Malik began his journey in medicine after moving to Arizona to obtain his medical degree from Midwestern University. It was during his time as a medical student that Dr. Malik was initially exposed to and became interested pain medicine. He decided to further pursue this field by completing his residency training in anesthesiology at Louisiana State University- Shreveport. Dr. Malik continued on to fellowship in interventional pain at LSU-SHV as well. 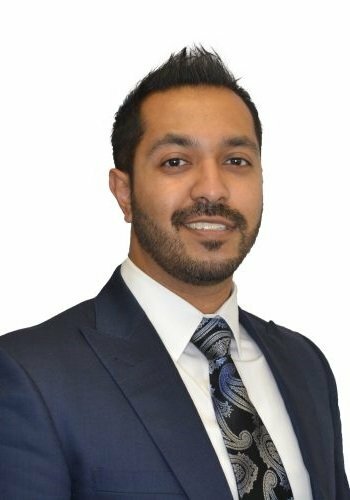 Throughout his fellowship, Dr. Malik was trained by experts in the field of pain medicine while simultaneously teaching as anesthesia staff. During this time, Dr. Malik was awarded the ASRA World Pain Fellow Scholarship. Dr. Malik’s clinical experience and training included nerve stimulator therapy, kyphoplasty/vertebroplasty, intrathecal drug delivery, extensive rhizotomy procedures, and much more. Dr. Malik also participated in a multitude of research that has enabled him to better understand the complexity of pain management. Dr. Malik is experienced in all aspects of pain management and is passionate about alleviating pain ailments for his patients. With an empathetic and compassionate approach to care, Dr. Malik hopes to not only treat his patients pain, but to help educate them on their disease state and improve their quality of life. While Dr. Malik was born in Queens, he moved all over the states throughout his life, living in Rhode Island, Washington, Nevada, Louisiana, and eventually back to Arizona. Dr. Malik has a passion for traveling and experiencing cultures across the globe. His travels include Europe, Asia, Africa, and Oceania. In His free time, Dr Malik enjoys spending time with his friends and family, racing cars, basketball, martial arts, biking, and playing percussion. Sudipita S, Malik Z: Supraclavicular blocks as an effective method for surgical anesthesia in patients undergoing upper extremity vascular surgeries- A retrospective review. Malik Z, Tirumala S, Arulkumar S: Case Study. Central Line Placement: Dangerous Complications. Accepted to NYSSA-PGA. Presented 12/15. Sudipita S, Malik Z: Corneal Abrasion Prevention in patients undergoing General Anesthesia. CQI Project. Malik Z, Chandler D: Advanced Pediatric Guide for Anesthesiologists. CQI project. Interventional Pain Doc: Founder. Interventional Pain Application for Mobile devices. Under development. Malik Z, Shah R: A New Pain Scale Guide. Pending IRB Approval. Malik Z, Shah R: Evaluating Influences on Patient-Physician Trust and Relationships. Pending IRB Approval. Malik Z, Arulkumar S, Brawl M, Rinoo S. Case Study. Neurolysis : A Novel Approach to Treat Metastatic Pheochromocytoma. Accepted to Southern Biomedical Research Conference. Presented 3/16. Malik Z, Bretchel, C, Arulkumar S, Tirumala, S, Siddiah, H: Case Study. Central Line Placement: Dangerous Complications. Accepted to GAARC. Presented 3/16. Malik Z, Koyalmuddi, P: Case Report: Diabetic Ketoacidosis Presentation with Underlying Tracheal Stenosis Confusion. Medically Challenging Case. Presented American Society of Anesthesiologists. 2016. Malik Z, Siddaiah H: Case Report. Difficulty Faced Placing A Double Lumen Tube with Narrow Tracheostomy Airway. Medically Challenging Cases. American Society of Anesthesiologists. 2016. Malik Z, Koyalmuddi, P: Case Report: Diabetic Ketoacidosis Presentation with Underlying Tracheal Stenosis Confusion. Medically Challenging Case. Presented Louisiana State University ASA Chapter. Malik Z, Shah R: Book Chapter. Neuropathic Pain: A Case Based Approach to Practical Management. Arachnoiditis. Planned release 12/18 by Cleveland Clinic. Malik Z, Eskander, J, Shah R: Book Chapter. Neuropathic Pain: A Case Based Approach to Practical Management. Entrapment Syndromes. Under review for publication. Planned release 12/18 by Cleveland Clinic. Malik Z, Eskander J, Shah R: Case Report. Metastatic Cancer – Sacral Kyphoplasty. Pending Publication. Pain Medicine. 2/18. Malik Z, Eskander J, Shah R: Case Report. Sacral Kyphoplasty for the Treatment of Ventral S2-S3 Compression Fracture. Medically Challenging Case report presented ASRA World 2018. Malik Z, Rappaport Y, Shah R: Case Report. Simultaneous retrograde Spinal cord stimulator and pudendal nerve stimulator implantation in patient with refractory pudendal neuralgia. Medically Challenging Case report presented ASRA World 2018. Small Bowel Obstruction – Current Management and Developments. Chicago, Illinois. September 2012. Indications for use of Platelets, Fresh Frozen Plasma and Cryoprecipitate. Tucson, Arizona. November 2012. Nicotine, Carbon Monoxide, and Carcinogen Exposure after a Single Use of a Waterpipe. Shreveport, Louisiana. December 2014. Ultrasound Imaging and use of B-lines for functional lung evaluation in Neurocritical care. Shreveport, Louisiana. April 2015. Morbidity Mortality – Ruptured Thoracic Aneurysm. Shreveport, Louisiana. June 2015. Comparing the Duration of the Analgesic Effect of Intravenous and Rectal Acetaminophen Following Tonsillectomy in Children. Shreveport, Louisiana. December 2015. Morbidity Mortality – Diabetic Ketoacidosis Presentation with Underlying Tracheal Stenosis Confusion. Shreveport, Louisiana. October 2016. Current Pre-operative Guideline Comparison Journal Club. Shreveport, LA. October 2016. Advanced Pediatric Guide for Anesthesiologists. CQI project. Shreveport, LA. May 2017. Pain Management and Interventional Techniques. Grand Rounds. Shreveport, LA. March 2017.